Google Analytics is the go-to platform for tracking the most important data of your online marketing performance. Not only does Google Analytics enable you to track the performance of your online campaigns, it also allows you to analyse the overall engagement on your website. The platform let's you track your best-performing pages, most used search queries, audience data and much more! Though we could be going on for days about the possibilities Google Analytics is able to offer you, in this White Paper we will be focusing on the information generated from UTM-coded URLs. Now before you start, you'll have to make sure that a Google Analytics property is created for your website. Don't have a Google Analytics account yet? Don't worry, creating an account is free and easily done. Click the button below to find out how you can set up an account in a few simple steps! 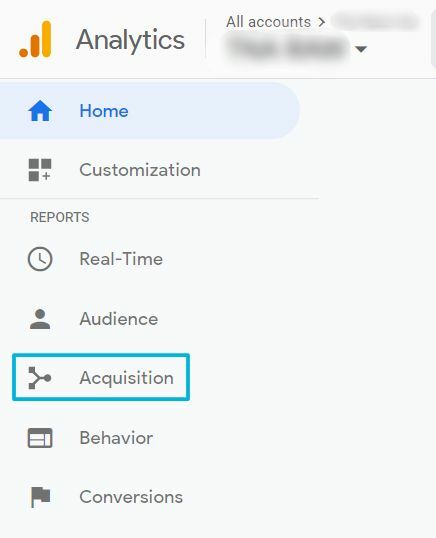 Get started with Google Analytics! If you want to analyse the data you've gathered from adding the UTM codes to your URLs, you'll need to know where to find it. Now that you have logged into your Google Analytics account there are a lot of things you can check out. However, as we said before, let's just focus on the UTM related parts. Firstly, you'll want to go to 'Acquisition'. This is where you will find all the gathered data on your visitors 'origins'. Maybe you will find out that the bulk of your of your traffic has come from Facebook or your newsletter. The overview will show a few general highlights concerning your top channels, user information, goal conversion rates, as well as more detailed information on metrics per channel. 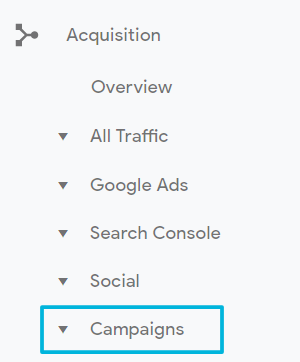 Now that we have checked that out, go from 'Acquisition' to 'Campaigns' and then click on 'All Campaigns'. Here you will get an overview of all the campaigns you have running that are bringing traffic to your site. This will be the place where you can see the number of visitors that have visited your site through a specific campaign, the bounce rate related to those campaigns and the average time visitors have spent on your site. 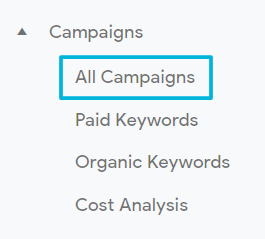 Furthermore, on this page you can set up a dimension to track the conversions obtained from the campaigns! However, do keep in mind that these are the campaigns which have been tagged manually with UTM codes, along with any other Campaign Manager of Search Ads 360 campaigns, provided that these are linked to Google Analytics. Google Analytics already tries to use a way to track the sources of your traffic by checking the Referrer information that is sent by the browsers. However, once a visitor goes from a HTTPS domain to a HTTP domain, the information provided gets lost and Google Analytics will trace this a 'direct visit'. Now that we've gone over Google Analytics, let's check out how we can implement UTM codes into your social media campaigns!